Indictment – what does it mean? The legal term “indictment” identifies a legal process relating to committing a crime that came to America by way of English common law. The importance and significance of this legal protection is proven by its place in the Bill of Rights or the United States Constitution. 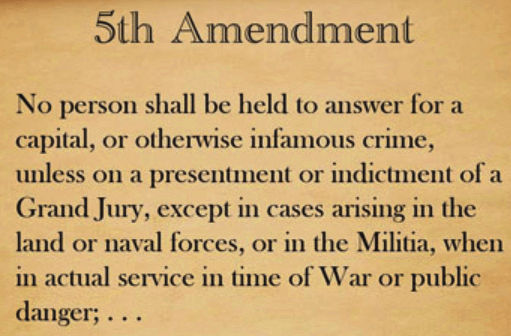 Our Fifth Amendment covers due process of law, and other issues (e.g., Miranda Rights), but indictment by Grand Jury proceedings is also part of this infamous 5th Amendment. 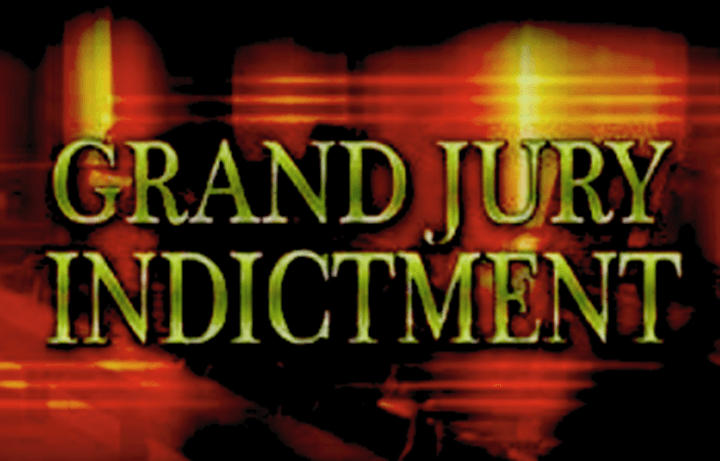 Today, the sinister connotations that arise form just hearing the phrase “the Grand Jury indicted” creates immediate fear and trepidation because serious legal consequences can come from any subsequent felony conviction of the indicted offense or offenses. 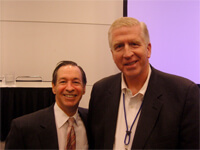 Americans may not know the indictment definition, but from watching an episode of “Law and Order,” or “American Greed,” somebody is in DEEP trouble when an indictment is “handed down.” The next step following that is that a formal accusation by the DA is coming, and the case the gets placed on a criminal trial calendar in Superior Court (or similar state court with felony offense subject matter jurisdiction.). In serious a criminal case, the law in England called for a legal process by which a large group of local citizens (from the county where a crime was alleged to have been committed) to be assembled to consider whether “probable cause” existed to believe the truth of the Government’s assertion. Probable cause is a legal term of art meaning the existence of ”reasonable and trustworthy information that a person may have committed a particular crime.” This, in a nutshell, is the definition of the legal document known as an indictment. For an indictment to reach a grand jury, the suspected criminal offenses must constitute a violation of the felony laws, federal or state. Interestingly, the United States Constitution initially did not apply to state crimes. The Constitution related to federal criminal law, not state criminal proceedings. But, when the various states wrote their state constitutions, most east coast states patterned a similar right to have a grand jury indict you. Then, in 1868, the 14th Amendment was passed, in order to have some parts (but not all) of the Bills of Rights. 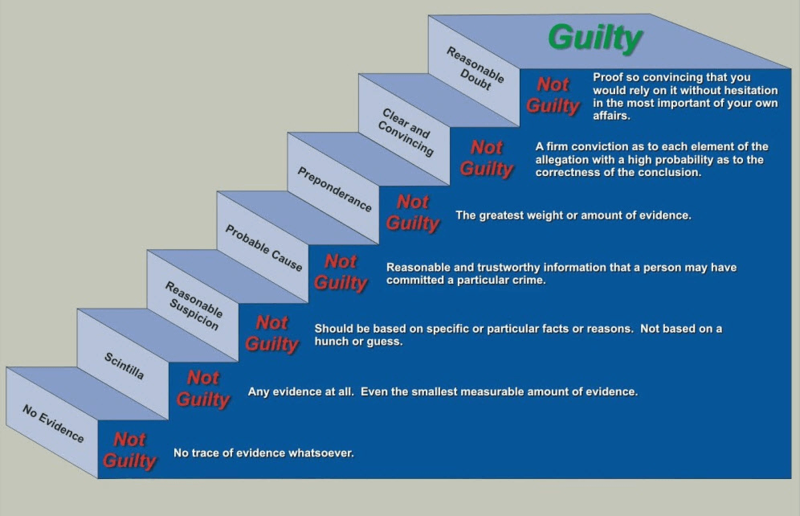 The helpful chart below shows where, for levels of proof in criminal justice cases, probable cause falls on the “stairway.” The lower level of evidentiary proof falls below the 50% mark, which may shock you, but the accused person still gets a chance to win at trial. So, both in the English common law countries and the USA, the indictment procedure of assembling a Grand Jury is NOT a trial, and the Grand Jurors have no power to determine “guilt.” Beginning with the Magna Carta in 1215 A.D, the English people (over the next several centuries) routinely sought to create a “brake” on the unlimited power of the Crown (meaning the King of England or Queen of England). One of those buffers or impediments against the Monarch’s absolute power was to mandate that (before any trial jury could occur) that a large group of county citizens had to agree with the Government about the sufficiency of evidence of criminal acts before a trial could be utilized to try to gain a conviction. The secret grand jury hearing would then be undertaken, with the District Attorney presenting the existing, known evidence in such a way as to have at least 12 of the grand jurors would see that a felony indictment was supported by probable cause. When this occurs, a “sealed indictment” known as a true bill, would be issued. If fewer than twelve vote to indict, a “no bill” is issued, by that Grand Jury. As can be learned below, a Prosecutor can try again, with the next Grand Jury. This “large” group of local citizens took on the name “grand,” since the purpose was to have MANY in the group agree before any person could face capital punishment or possibly life imprisonment. The value of such a barrier to overreaching by the Government did not escape the Founding Fathers in the mid-1700s in the American colonies. Our Bill of Rights contained this GUARANTEE, in one of the several “due process” rights created by the Fifth Amendment. “No person shall be held to answer for a capital, or otherwise infamous crime, unless on a presentment or indictment of a Grand Jury, except in cases arising in the land or naval forces, or in the Militia when in actual service in time of War or public danger”. Not all states use the Grand Jury system in their State prosecutions, but (due to the 5th Amendment of the US Constitution) all federal cases with serious felonies require federal court indictments. When a Grand Jury is selected, the process is merely to take the first listed citizens who are otherwise qualified under state law, by age (e.g. 18 and older), mental competency, a resident of the county for the requisite number of months (i.e., 6 months), and not have a prior felony conviction. No guidelines exist for assuring racial diversity or gender diversity, but the historic “qualification” was that the grand jury must be selected from the “upstanding citizens of the county” and up until the early 1900s, this resulted in the panels being all men on grand juries. No questions are asked about bias or attitude toward criminal justice matters, or relationship to court personnel, police, etc. Typical state Grand Jury composition is between 16 and 23 grand jurors, and the term of service can be for 6 months or even a full year. Not all Grand Jurors have to agree on issuance of a True Bill (meaning that a Grand Jury Indictment is sent to the District Attorney for prosecution), and 12 is the most common number required to indict. If a particular grand juror has some familiarity with the crime scene or the accused person, that member of the panel is not disqualified or removed. Each state can write its own rules and exceptions to the usual rules for indictment procedure of who can attend grand jury sessions, and who has the right to testify. In Georgia and several other states, if a police officer is the target of a Grand Jury indictment, he or she is permitted to testify, but all other citizens have no such right, as compared to when police indicted. Neither a court Judge nor any criminal defense attorneys are permitted to attend Grand Jury. A Prosecutor cannot ignore the decision of the empaneled Grand Jury, but he or she is not precluded from waiting for the next Grand Jury to be sworn, for that county, and then try again to get a true bill against the suspected felon, and then move forward to a trial court, for the guilt-innocence phase of the case. Seek to have a bond set by a Superior Court Judge, allowing the person to stay out of jail, pending trial. 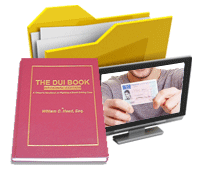 Leave the person in custody and request a “preliminary hearing,” for purposes of challenging the State’s evidence, as well as discovering (and having a court reporter capture) more information about the pending charges, through witness testimony. 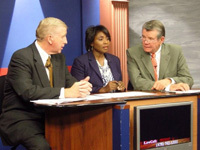 Legal counsel for the Defendant can have his or her client waive a probable cause hearing and the need for sealed indictment by a Grand Jury, and have the case placed on the next jury trial calendar, at which time the criminal defense lawyer can file a statutory speedy trial demand under Georgia law. The best criminal defense attorneys have enough knowledge of the types of legal proceedings to know when and where a plea bargain may be available, that can protect the freedom and the criminal record of the accused client, to take this step, as part of the plea negotiation process. 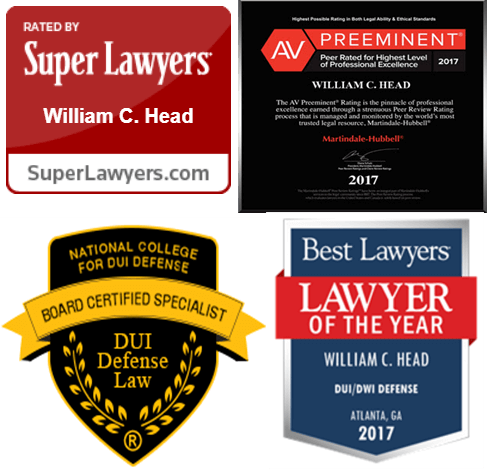 Such strategic decisions are best left to the criminal attorney who has been entrusted to direct the path of the criminal case, to obtain the best result. 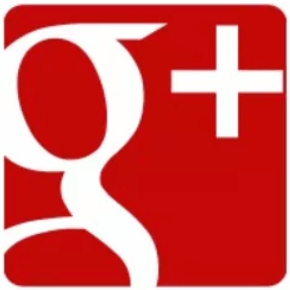 Contact our experienced criminal attorneys at our Atlanta GA law firm, for a FREE lawyer consultation. 404-567-5515. 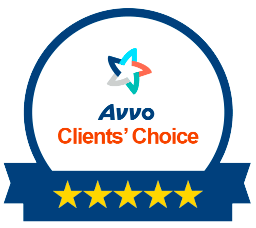 This initial meeting offers you FREE legal advice from our three partners, each of whom has stellar lawyer ratings and legal industry recognitions. 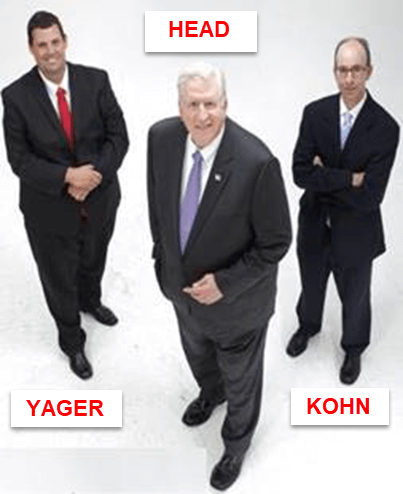 Call Bubba Head, Larry Kohn, and Cory Yager now. What do you have to lose, when the meeting is FREE?